Modelled on the slide rule, the Klokers KLOK-01 is a novel and affordable wristwatch that indicates the time on discs, combined with a patented removable strap, that is available on Kickstarter. 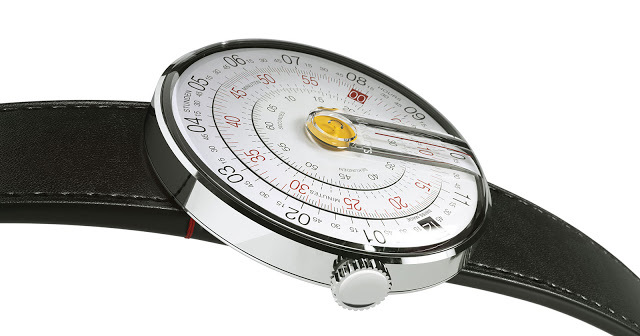 The Klokers KLOK-01 gets its inspiration from the slide rule, the mechanical calculator that reigned before the electronic calculator emerged in the 1970s. Featuring an array of scales that enabled multiplication, division and even roots and trigonometry, the slide rule was essentially an analogy computer. 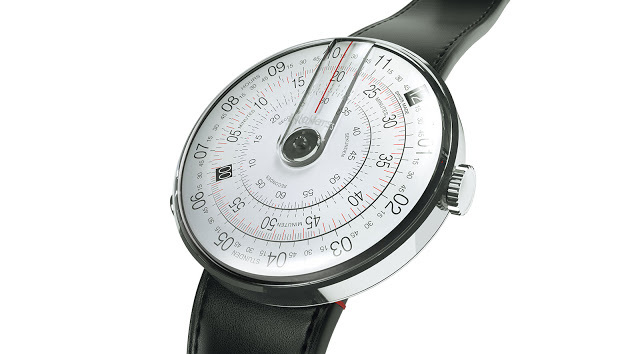 The KLOK-01 looks just like a circular slide rule, with three rotating discs for the hours, minutes and seconds. Despite the finely printed scales, reading the time is straightforward. The outermost disc is for the hours, followed by the minutes printed in red, and the seconds on the innermost disc. A vertical red line at 12 o’clock indicates the time, with a magnifying strip built into the crystal for better legibility. 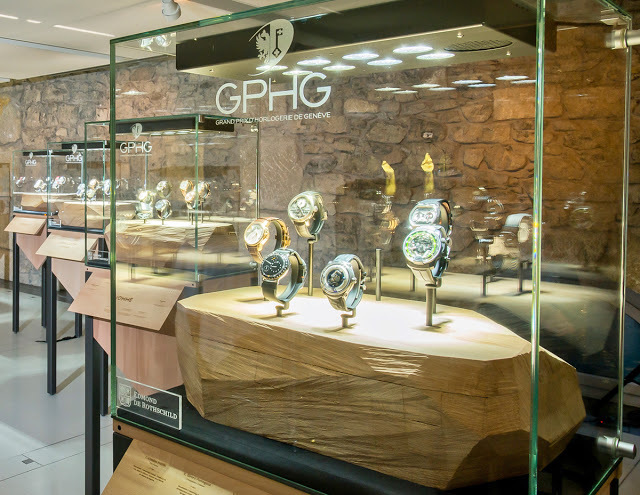 The discs are driven by a quartz movement made by Ronda, a major Swiss supplier. The time is now 30 seconds past 10:20. The case made of stainless steel and plastic, with a diameter of 44mm. A patented system allows the case to the slide on and off the strap, with the release button at eight o’clock. The leather straps are designed to be worn as bracelets, and current available in various colours including blue orange and yellow. Klokers was founded by designer Nicolas Boutherin and Richard Piras, a co-founder of the now defunct independent brand Ladoire. 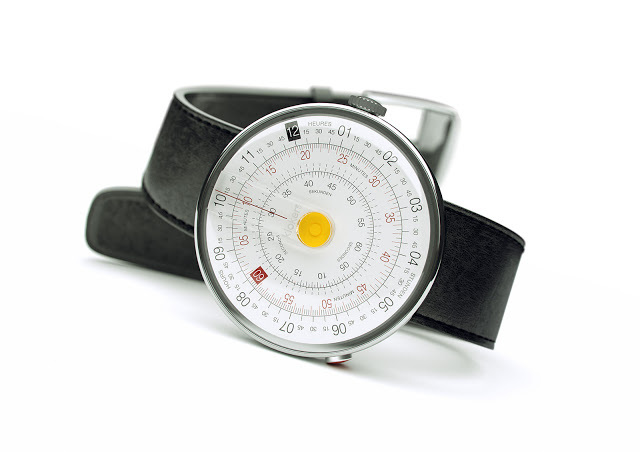 Three models of the KLOK-01 are currently available, each a limited edition of 200 pieces. They are priced at €299 each (retail is €349) and are available on crowd-funding site Kickstarter. The project has met with an enthusiastic reception as of September 16, 2015, just hours after its launch, Klokers has raised €250,000, five times the original funding goal of €50,000. Addition September 16, 2015: Kickstarter availability updated.